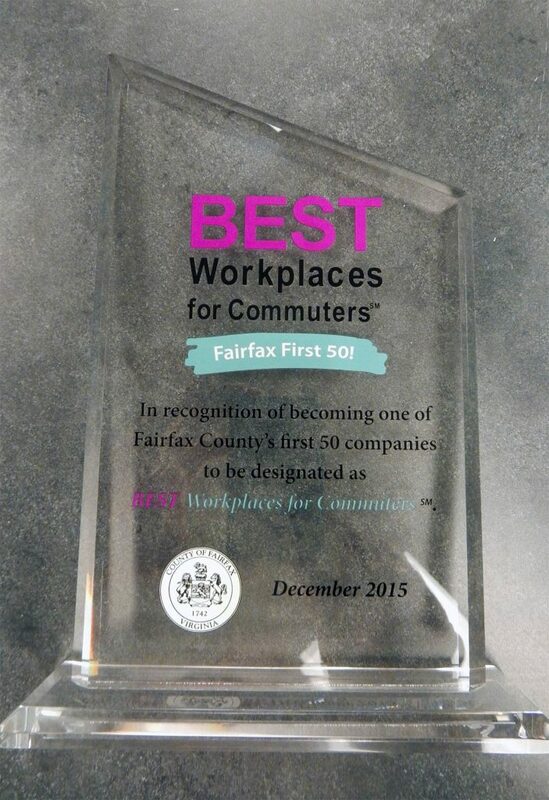 The Fairfax County Board of Supervisors, in partnership with the National Center for Transit Research (NCTR), has designated ActioNet, Inc. as one of their Fairfax First 50! 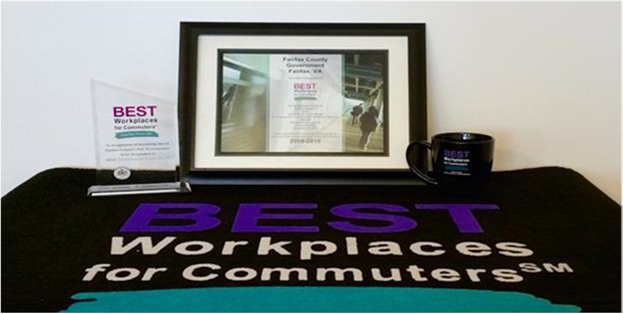 with a special award on December 8, 2015, for being one of the “Best Workplaces for Commuters” (BWC). The BWC designation acknowledges employers who have excelled in implementing green commuter programs such as ridesharing, transit benefits, biking and walking, teleworking, alternate work schedules and other strategies. These types of commuter programs improve mobility by reducing the number of single-occupant vehicles on the roads. ActioNet provides outstanding commuting benefits to its employees covering both transit and parking. Many ActioNeters commute to work by bike, Metro, carpools and vanpools. ActioNet is not only a great place for commuters but a great place to work!